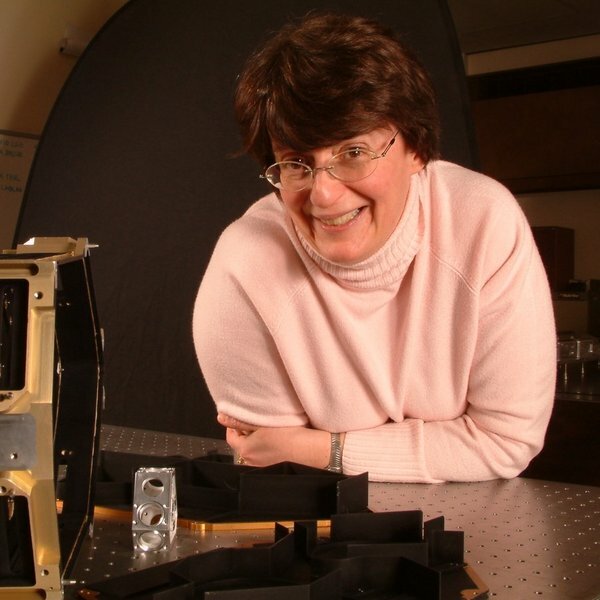 Gillian Wright is currently the European PI for the James Webb Space Telescope MIRI instrument. Gillian leads the team engineers and scientists that have designed and built the MIRI instrument. She is also Director of the UK Astronomy Technology Centre and researches galaxies. Working in teams with lots of different people who have skills in many engineering subjects as well as with astronomers in order to build instruments and discover new things about the universe. Astronomy is a science that is enabled by technology and engineering – and team work. It is really really exciting just to find a detail about the universe no-one else ever knew before. How long have you been working in this field and what are you working on right now? I’ve been working on the James Webb Space Telescope for about 20 years now. Right now I am working with my colleagues on detailing our plans to use the telescope to make some of the first scientific observations of galaxies, star formation and exoplanets. What first inspired you to work in your field, and have you always had an interest in space? I think I’ve always been interested in the earth’s place in the Universe and as a small child I used to love looking at the stars on a dark night. I was so excited by the Apollo missions too. However my interest in astronomy really grew out of studying physics at University. Did you always know you would work in the space sector, or did you have other plans? Aside from a brief period when I wanted to be an air hostess, I always dreamed of being a scientist and helping understand how things work. I was interested in lots of different science though, such as nature, orinthology, chemistry, pharmacy, medicine, materials, as well as maths and physics. Have you worked anywhere else or on any other space missions or big science projects? I spent more than a decade working on the telescopes on Mauna Kea in Hawaii. I was part of the team that build the SPIRE instrument for the Herschel mission. Now I have been helping the proposal to ESA to build Ariel, a mission to study exoplanets. What sort of skills does someone need to do your job? To be good at science subjects like physics or chemistry and lots of perseverance because it takes a long time to learn all the skills and knowledge you need. Also things like being good at and interested in problem solving and working with other people. It’s important to be able listen to experts in their field and pay attention to details. Why do you think the James Webb Space Telescope (JWST) is important? What impact will it have on the average person? JWST will allow us to answer questions about the universe that no other telescope is able to do. My instrument MIRI is so sensitive it can see in 1 second what would have taken previous missions an impossible number of days. So the average person will see amazing pictures like those taken by Hubble, but in a whole new kind of light. We hope to measure molecules in the atmospheres of exoplanets, and that would be pretty exciting for everyone. What happens / what do you do if something goes wrong? When something goes wrong you just have to go back and then one step at a time work out what went wrong and why so that you can fix it. Sometimes it seems that things go wrong “all the time”, but its usually solvable in the end. I went to a comprehensive school in Hamilton and studied for Highers in Physics, Maths, Chemistry, English and French. What did you do after finishing school? I went to Glasgow University where I studied for a degree in Natural Philosophy (Physics) and after that Imperial College London where I did an MPhil on the design of a large balloon borne infrared telescope and then a PhD on infrared observations of interacting galaxies. Doing the MPhil first rather than going straight to a PhD fitted with having a job and earning a salary for a while. What advice would you give to someone thinking of a career in space? Go for it! There are many options available, it's fun and challenging. Keep your mind open and allow your interests to change as you learn more.